Lisa Zaslow partners with a variety of companies whose products and services make people’s lives easier at work and at home. Lisa is a sought-after speaker on topics related to organization and productivity and leads workshops and talks for companies. She’s served as a brand ambassador, spokesperson and organizational expert for companies including eBay, Apartment Guide, GalTime.com and others. 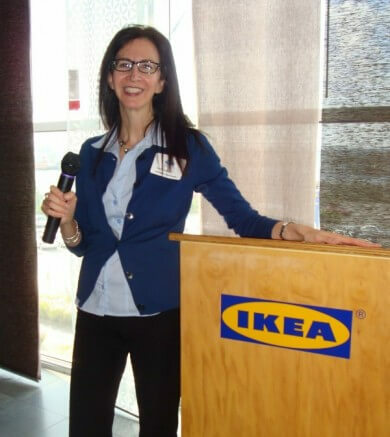 Lisa consults with companies on product development and provides insight on consumers’ needs and challenges related to organization and productivity. Call Lisa at (212)866-9493 or email to discuss working together.